TJ Evagash III has been working hard to prepare for the Dash and Dot robotics competition! Last week Canon City Middle School received two wonderful donations of woodworking equipment to support its growing Career Tech Education program. Rona Vaughn gave a CNC router table and an industrial band saw to the wood shop program. The band saw will replace outdated equipment and the CNC table will enable students to learn how to apply CAD drafting to woodworking projects. This equipment was originally owned by Glenn Vaughn Sr. who moved to Cañon in 1988. Glen was active in the community and even served on the city council for two terms. Rona and Glenn's children Sonia and Glenn both attended Cañon City schools and were very grateful to give back to their community. Mr. Oliver wants the Vaughns to know just how appreciative the staff and students of Canon City Middle school are so for these amazing donations. Worth more than $5,000 combined, these tools will allow CCMS to expand its program, giving students a taste of true future-focused learning. Speaking of future-focused, this week I learned a young man named TJ Evagash III who attends Harrison K-8 has been working hard on a Dash and Dot robotics competition. Harrison teacher Karin Steadman says TJ has been coming to Harrison’s after-school computer club for three years, and this is the first year she’s had a student finish all the Dash and Dot competition missions required for the competition. Karin says we’ll learn next month if TJ gets to move on to the Invitational Round. Either way, I think TJ is a winner, thanks to all the effort he has put into his project already! Cañon City graduate Chris Koehn has big plans for a technology startup that includes intern opportunities for students! The family of Glenn Vaughn was kind enough to donate this CNC router to Cañon City Middle School! 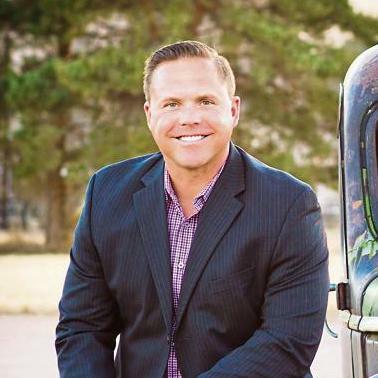 Many of you may be aware local businessman and Cañon City High School graduate Chris Koehn has reached out to us looking for students who may be interested in interning in his new business ArmyLandWarNet. This endeavor will offer technology network support for the US military. Mr. Koehn hopes to hire 20 tech-savvy individuals into his company in the next 45 days, but also plans to extend a number of internship opportunities to high school students in Fremont County. Of course, we’ll be doing all we can to put Mr. Koehn in front of our students to help them learn more about this exciting career opportunity. The Cañon City High School Assessment for Learning Project Team continued its work last week. On Thursday Assistant Superintendent of Schools Adam Hartman and I attended a follow-up Colorado Education Initiative Assessment for Learning gathering in Denver. While there Adam and I supported Cañon City High School staff Bill Summers, Michelle Curl, Jennifer VanIwarden, Scott Witkowski, Madison Tortessi, Kristi Cushman, Megan Clasby, and Ande Davis as they refined our four-year capstone learning project curriculum. This work is key to supporting all Cañon City High School students in earning a diploma when new Colorado graduation standards are implemented beginning with the class of 2021. I received work from Lincoln School of Technology Principal Tammy DeWolfe this week that work on the Safe Routes to School grant project she applied for two years ago will begin over on February 16th. The City will start by working on the irrigation ditches in front of the school. Their plan is to get this work done while school is out of session from the 16th to the 19th for our mid-winter break. I’m looking forward to increasing the safety of student access to Lincoln. 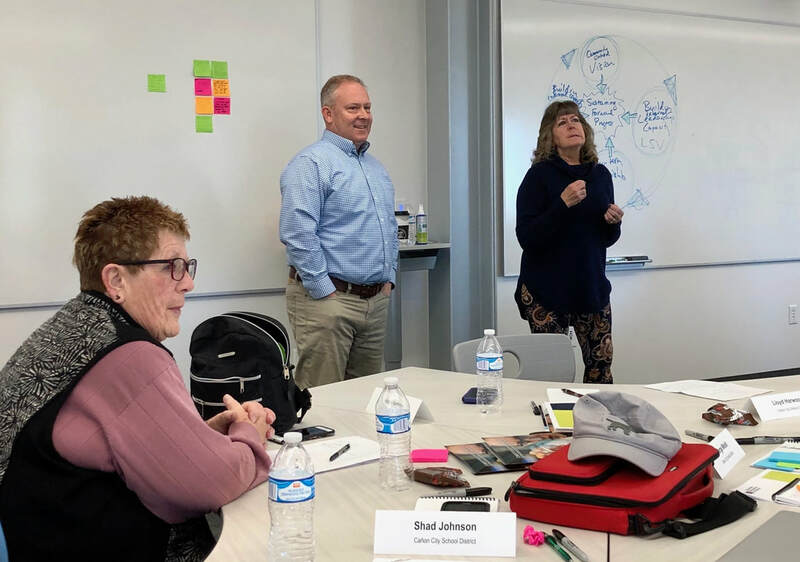 On Friday and Saturday of last week, Assistant Superintendent of Schools Adam Hartman and I joined board members Lloyd Harwood, Mary Kay Evans, Shad Johnson and Robin Reeser at the Colorado Education Institute’s first ever Breakthrough District Governance Network convening. 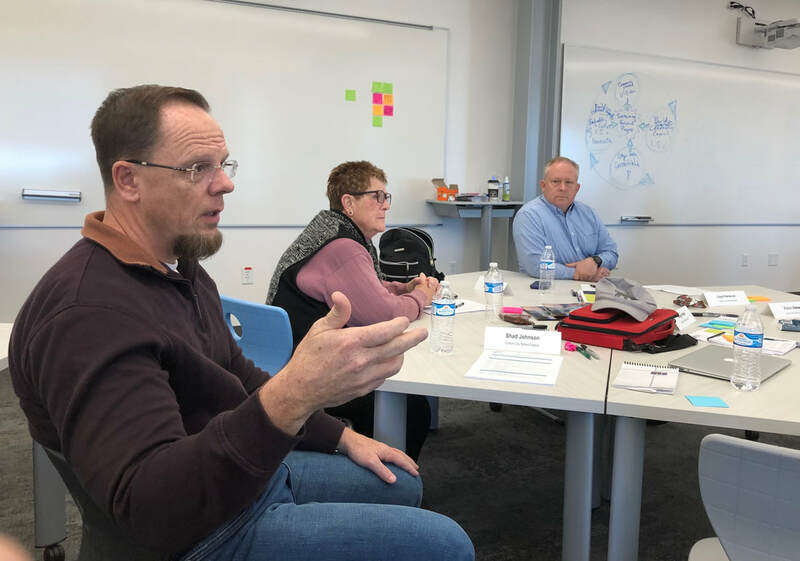 While there, we engaged with district governance leaders from the Saint Vrain Valley School District Manitou Springs, and Durango, sharing stories of good governance and thinking deeply about the future direction of each school district. Our key takeaways from this work included increasing our efforts to share the many great things we are already doing with our community including progress being made on facilities, technology implementation, and the many new learning opportunities we are providing for students, making a purposeful district investment in educational innovation, seeking to actively create entrepreneurial programs for students, and plain focusing more on what we can offer our community as a school district. We will inject these ideas into this year’s educational improvement plan, and we’ll also be lining up resources to help them become a reality. Board member Shad Johnson explains how the Cañon City School Board handles difficult public problems. Newest board member Robin Reeser explains how the Cañon City School Board communications norms work. Key to a desire to balance our need to meet the social-emotional well-being of all students, and to attract, retain, and support great people to teach them, our calendar committee is closing in on an innovative solution we may put in place as soon as next school year. Our most favored calendar drafts seek to slightly extend each school day while providing a couple of two-hour early release Fridays per month for ongoing professional development with two three-day weekends per month. We hope to finalize this work at our February 6th calendar committee meeting, then present it to the board of education at its February 11th meeting. The board will then communicate the possible changes to the community and invite public input at its February 25th meeting, before making a final decision to adopt, reject, or amend the proposal. Speaking of investing in innovation, this week Cañon City School District Instructional Technology Coordinator Dan Coppa released information about our new Technology Innovation Grant program. This is aimed at providing classroom teachers opportunities to pilot new educational technologies and services for the benefit Cañon City students. Cañon City Schools is providing three $500 grants that can be used to purchase educational technology that will directly and positively impact student learning. Applications will be accepted through February 15th. Thanks for your hard work setting this up Mr. Coppa! This Wednesday our Design-Build team will present Design Drawings to us. Approval of these will allow the team to begin planning for actual construction to take place beginning this May, and continuing in various pareses throughout the end of the summer of 2021, with all projects to be complete in time for school that August. Assistant Superintendent of Schools Adam Hartman explains how Cañon City Schools codified its four core beliefs. On Monday I had a series of routine meetings, an expulsion hearing, a board work session, and a regular board meeting. On Tuesday I attended a Colorado Rural Alliance legislative video call. I also touched base with new Pueblo Community College-Fremont Campus Dean Linda Stetter, attended a Superintendent Advisory Council meeting, and facilitated our second Calendar Committee meeting. On Wednesday I prepared for Assistant Superintendent of Schools and Director evaluations. Assistant Superintendent of Schools Adam Hartman and I were in Denver on Thursday working with CCHS Principal Bill Summers and a team of high school staff at a Colorado Education Initiative Assessment for Learning Project meeting. Adam and I proceeded to Longmont to join our Board of Education for a Breakthrough District Governance Team collaboration that took place all day Friday and Saturday morning. On Monday morning I’ll attend a McKinley Turnaround support meeting electronically because I’ll be visiting my daughter in Austin, Texas. On Tuesday we have a Superintendent Advisory Council meeting, and I’ll attend a Colorado Safe School Resource Center advisory board meeting in Denver. I’ll begin my day Wednesday with a monthly Central Office Staff meeting, a CCMS and Washington Design Drawings approval meeting followed by further building construction discussions, and finally our third Calendar Committee meeting. On Thursday I have an early morning HomeBiEd Board meeting and a Pikes Peak Alliance phone conference. I’ll then make my way back to Denver to support Board Vice-President Lloyd Harwood’s testimony on a bill seeking to expand Building Excellent Schools Today funding. I’ll remain in Denver to attend a state superintendent gathering and to present at the Colorado Association of School Executives winter leadership gathering about how state trust lands impact BEST funding. I’ll return to Cañon on Friday in time to attend an important meeting about the future role our technology teaching staff as we continue to implement our one-to-one Chromebook program. Fremont Regional Wellness will be welcoming Collin Kartchner on February 6th. Collin represents www.savethekids.us and will be speaking to our middle and high school students about social media use and how it impacts us socially, emotionally, and mentally. He’s scheduled to present assemblies at Cañon City High School, Cañon City Middle School, and Harrison K-8/Mountain View Core Knowledge School to present to our middle school students and 9th graders at the high school. Kids today are wading through water so mucky none of us could ever imagine dealing with. And as tough as it is to be a kid today, I truly feel they are the smartest, most capable, and resilient bunch. As I speak to thousands of teens across the nation, it only affirms my belief. Social media and smartphones can be used for so much good, but sadly they are tearing at the fabric of our society and our homes. As I invite kids to focus on living in real life and stop worrying about social media perfection, that it's okay to show the world you're not okay, I can see a weight lift off their shoulders and many inspire their peers and parents to get off social media as well. I believe it is going to be the kids today that save us all. Thank you for this powerful message Collin, and thank you all for listening to me once again!